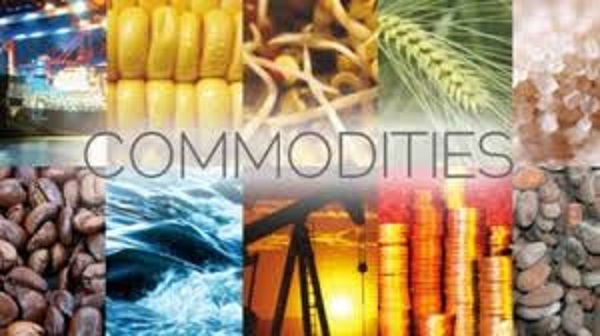 The Ghana Commodity Exchange provides a more modern,efficient and risk-free trading solution in Ghana and West Africa in support of agricultural development and capital markets. GCX strives to transform Ghana’s agriculture by linking smallholder farmers and other value chain actors to both national and international markets while providing a host of other opportunities. Farmers: Farmers are now supported to reduce their post-harvest losses to just losses that occur due to moisture and handling; they are able to sell their commodity by weight and grade, and package it to appeal to markets; they have access to financial markets through our electronic warehouse receipts system; have access to affordable finance using their commodity ,the only assets they have, as collateral; they are linked to a modern efficient trading platform where they can easily find buyers and reduce their marketing and transaction cost; they are paid within 24 hours of selling their produce; their business risk is mitigated through atop of the range market surveillance system; and they are insured against quality degradation. Further, smallholder farmers are now in a position to access credit, a major reduction of the burden they have faced formerly as a credit risk class. Processors:The Ghana Commodity Exchange’s grading standards make it highly beneficial for processors to trade on the Exchange as this enables them to acquire commodities at the standards they require for their products – the Exchange therefore eliminates the need for these processors to import locally produced commodities from other countries if there is sufficient supply. Brokers: The Exchange is of benefit to brokers because it provides them with a client base of producers, processors and consumers whom they can represent as brokers. Brokers are also helped by the mitigation of risk offered by the exchange since it enables them to trade in commodities on the Exchange with assurance of prompt payment and/or delivery. In addition,brokers benefit through the price discovery available when trading with the Exchange since it allows them to set competitive rates for their services in line with the current prices on the exchange. Moreover, the Exchange serves as a conduit between brokers and producers, making it easier for brokers to locate those producers who are unwilling or unable to trade on the exchange themselves and offer their services to them. Financial Institutions: Banks play an integral part in the international commodity trade business. They fulfill a number of essential roles upon which the commodity market depends. Many banks are entering the commodity market;with their extensive financial capacity and their experience with risk management, they represent capable players on the commodity market. Warehouse receipt financing provides an opportunity for financial institutions to increase their loan book as GCX on their part help reduce credit risk in lending to smallholder farmers. Warehouse receipt financing also results in diversification for integrated financial institutions as it creates a new line of business. Partnering with GCX provides room for banks to acquire a new stream of clients as some members will end up banking with them. Partner banks also have the opportunity of becoming settlement banks and that will mean extra cash flow through their accounts.In view of this, all actors in the agriculture value chain become a part of the financial inclusion agenda. Consumers: Although not necessarily a primary player on the Exchange, our consumers will benefit greatly as the commodities are assured for food safety and are traceable to where they were produced. The inferred health benefits cannot be overemphasized as healthy commodities churned through the Exchange will result in healthy meals for all households. The overall benefits to be derived from the operations of the Ghana Commodity Exchange on the country’s macro-economy are of great significance. The Exchange offers ecosystem actors opportunities to achieve the levels of sustainable and equitable growth that have the capacity to elevate Ghana and West Africa’s agricultural economy to the world stage.